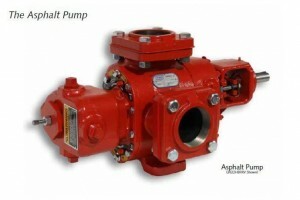 Pumping asphalt is extremely tough, however, a Roper pump is well equipped to handle the load. All Roper pumps are made from high-quality materials and are engineered to have a long life and run as efficiently and precisely as possible, which is why C&B Equipment is proud to offer this brand. The Roper pump can handle viscosities of several thousand SSU and temperatures of 450° F. The pump can even be fitted with jacketing. The speed at which the pump is operated controls the discharge capacity of the pump. No matter what the nature or size of your project is you can be sure the Roper pump can handle all the asphalt you will need. Can withstand temperatures of up to 450° F.
High-temperature packing, bushings, gaskets, bearings, and relief valve parts.